Our manufacturing facility is split over two dedicated fabrication units within the same industrial park, offering substantial flexibility with programming and sequencing. With a combined production space of 3,000 square metres, no project is too big (or too small) for our capacity. 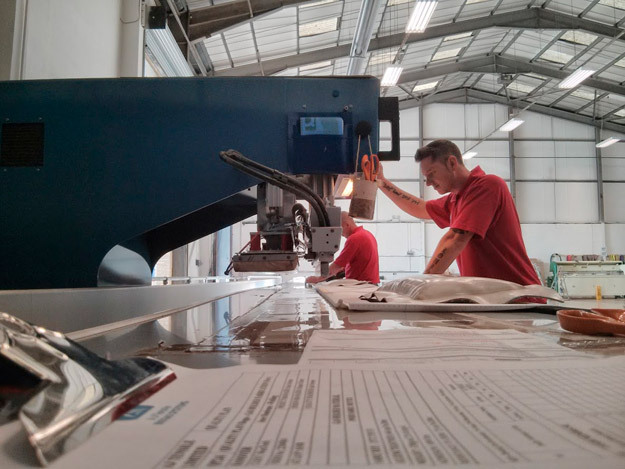 Our dedicated teams in cutting, welding and sewing combine the latest technology and manufacturing techniques with meticulous training and decades of experience to ensure that your projects are made rapidly, accurately, and to the highest possible standard.